Living in Michigan means that we generally get to go through all four seasons throughout the year. In the summer, it’s generally pretty hot, in the spring it’s cool and rainy, in the fall it’s chilly with golden trees, and in the winter it’s cold and snowy (most of the time). I like living in a place where I can have a ‘White Christmas’, but one of my longtime Christmas wishes/dreams is to actually be able to spend the holiday season (from about December 1st-January 2nd) someplace else. New York City to be exact. It;s bad enough that I’ve never been to the Big Apple (I know, that alone is a travesty), but every year that goes by without me getting to be in NYC during Christmas time does make me rather depressed. I’d love to be able to go skating and see the tree at Rockefeller Center, go and get lost in Macy’s, and of course be in Times Square for New Years Eve. I just want soak up the busy, electric atmosphere of the city. I’ve never been to New York, but I LOVELOVELOOOOVE Chicago, Atlanta and Boston, and if New York is anything like those places, then I know it’s where I belong. If I did still believe in Santa Claus, a Christmas in New York would be definitely be on my wish list of things to ask him for. I’ve actually wanted to make this recipe for a pretty long time now. It comes from a huge cookbook that my mom has had since I was a little girl. It’s supposed to be a cookbook/recipe encyclopedia that tells you how to basically cook EVERYTHING in life, with recipes as simple as pound cake, to as complicated as octopus. The photography is fancy and completely stunning. I’m waiting for the day that my pictures look as beautiful as the Recipe Encyclopedia’s. I used to flip through the book, marking off all the things I was gonna ask my mom to make for me. This gingerbread was one of them, and I must say that after years of suspense, it didn’t disappoint. The ginger and allspice are what really give this bread it’s flavor. It’s subtly sweet, with just the right amount of spice to give it a ‘bite’. Definitely a win for Christmas treats. Today’s recommendation is for another music album, and yes, it’s from the 90’s. What can I say, that was the crux of my childhood. Plus, if you ask me, music in general was just better quality then. 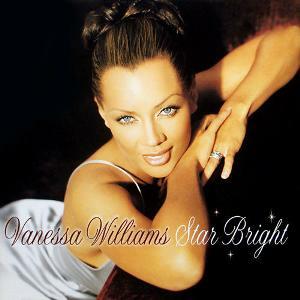 Vanessa Williams had some of her most successful years as a recording artist in the 90’s. My mom listened to her cassette tapes and CDs all the time, and I’m still a huge fan of hers now. All of her albums are fantastic, but I think that my favorite to this day is still her Christmas record, ‘Star Bright’. Vanessa has a smooth, velvety voice that’s very soothing and pleasant- perfect for music you can put on in the background while opening gifts on Christmas morning. 1. Preheat oven to moderate 350°. 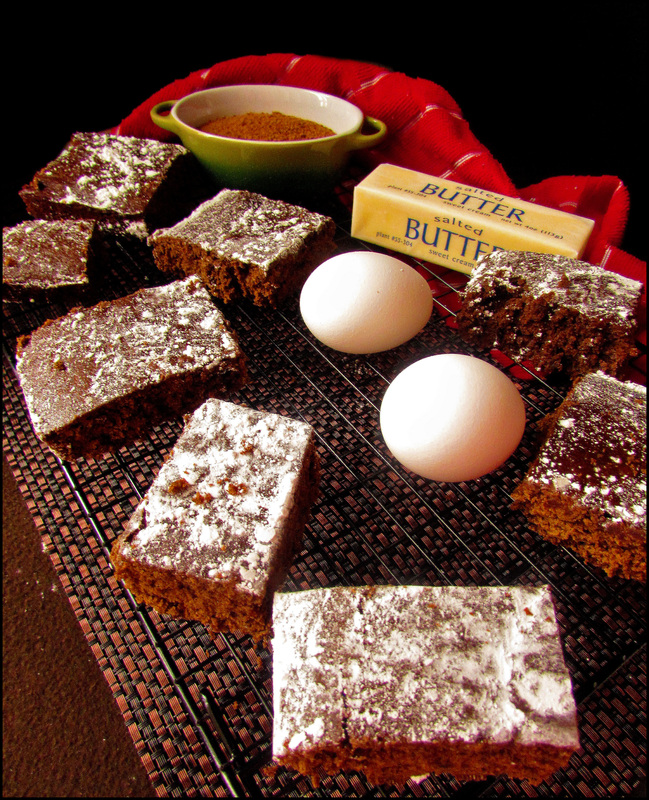 Brush a deep 8 inch square cake pan with melted butter, line the base with paper; grease the paper. 2. Place the butter, brown sugar, molasses and water in a large pan. Cook over low heat until the butter has melted and the sugar has completely dissolved. Cool slightly. 3. Add the lightly beaten egg to butter mixture. 4. Sift the flour, ground ginger, allspice, baking soda and salt into a large bowl. Make a well in the center of the ingredients and add the butter and egg mixture; stir until the ingredients are just combined and moistened. 5. 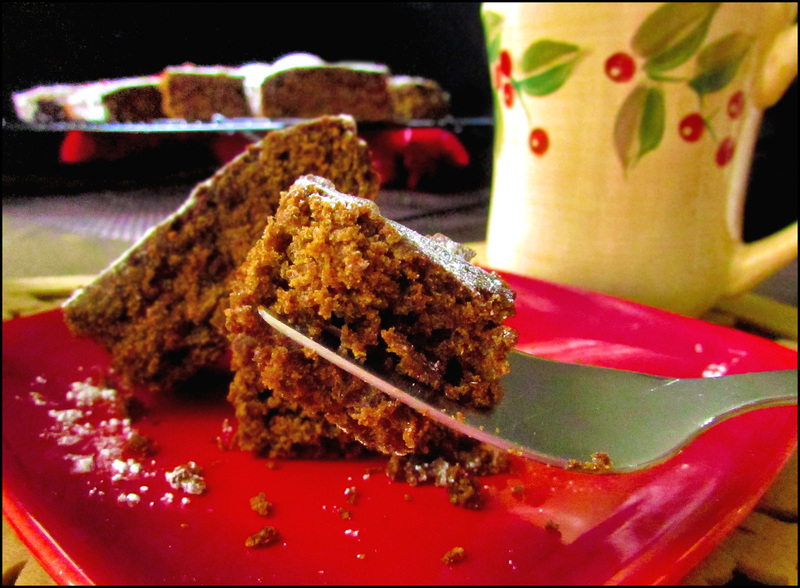 Spoon into the prepared cake pan; bake for 30 minutes, or until the gingerbread is cooked through. 6. 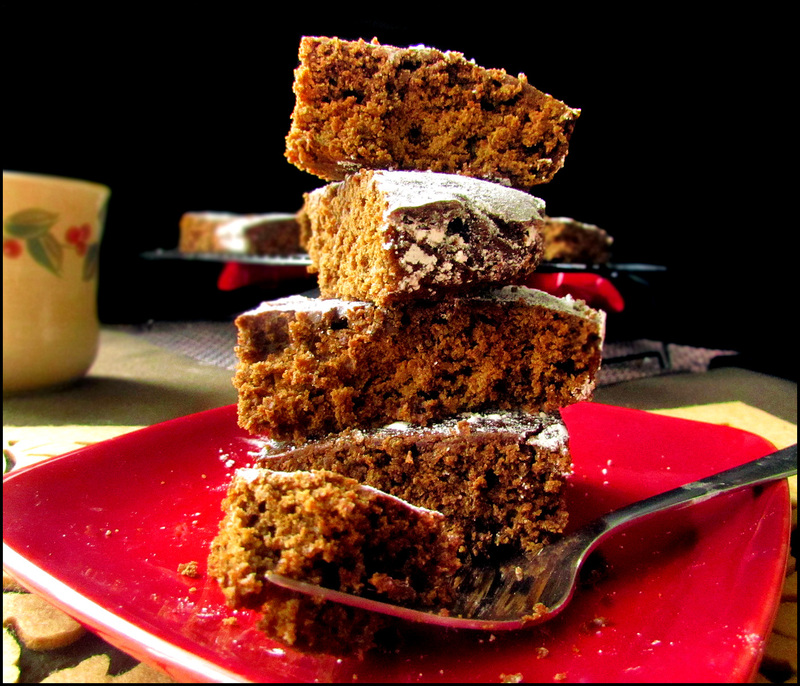 Gingerbread may be served warm with whipped cream, or cold, dusted with confectioners’ sugar; or spread with butter. This recipe looks awesome! 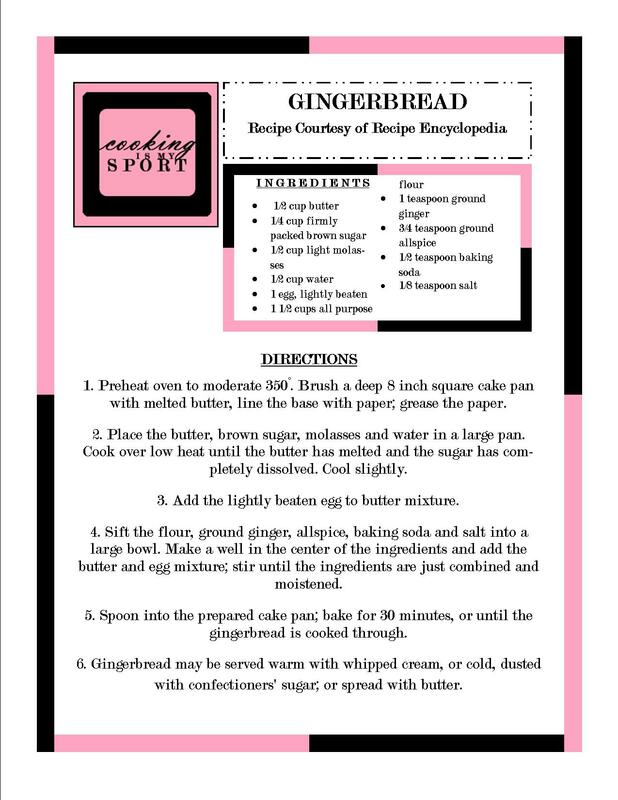 I have been hunting around for a good gingerbread recipe for the past few days and now I have one. Thanks so much! Hi Jess! This recipe looks delicious, and I’m looking forward to trying it out soon. Is the molasses measurement missing in the ingredients list or is it just me?! No worries at all. I wouldn’t have even noticed if I wasn’t so keen on trying this recipe out!